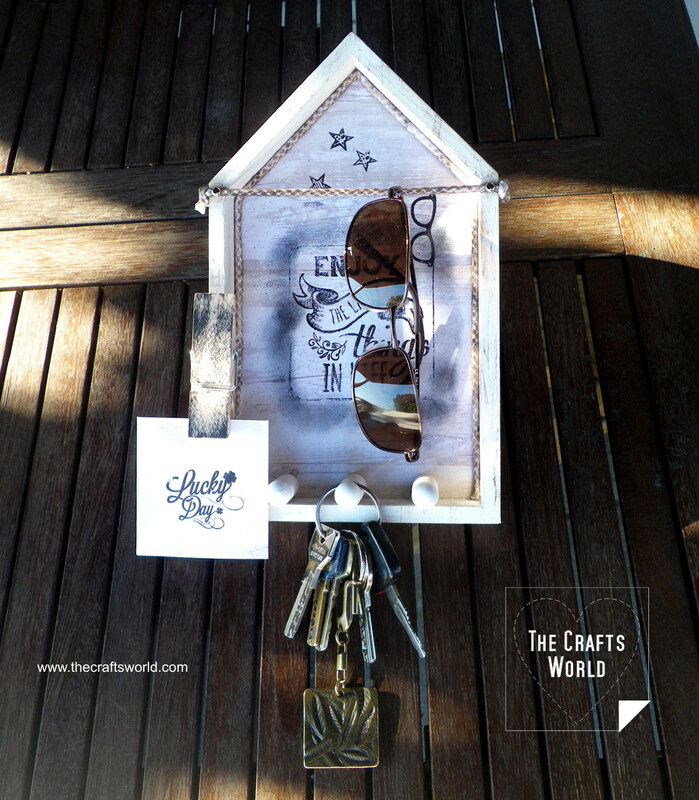 Make a key storage box by altering a wooden shadow box into a hanger for your keys and sunglasses. 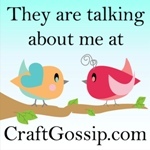 Add a wooden peg for a quick message to be placed. 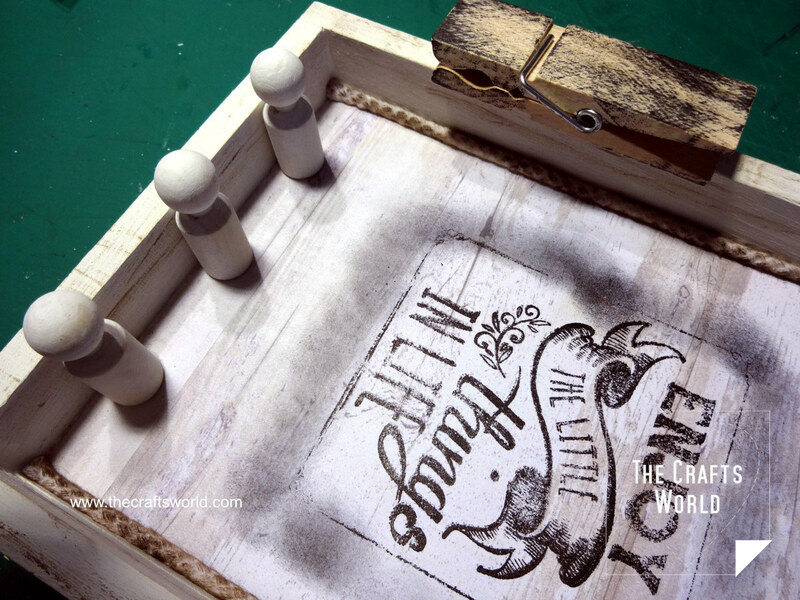 Paint the frame of the wooden box and the game pieces with the white paint. It may need more than one coating for better result. Using a hard paint brush or a piece of cardstock, create lines using the pinecone ink and blend with soft paper to create wood marks on the frame of the box. 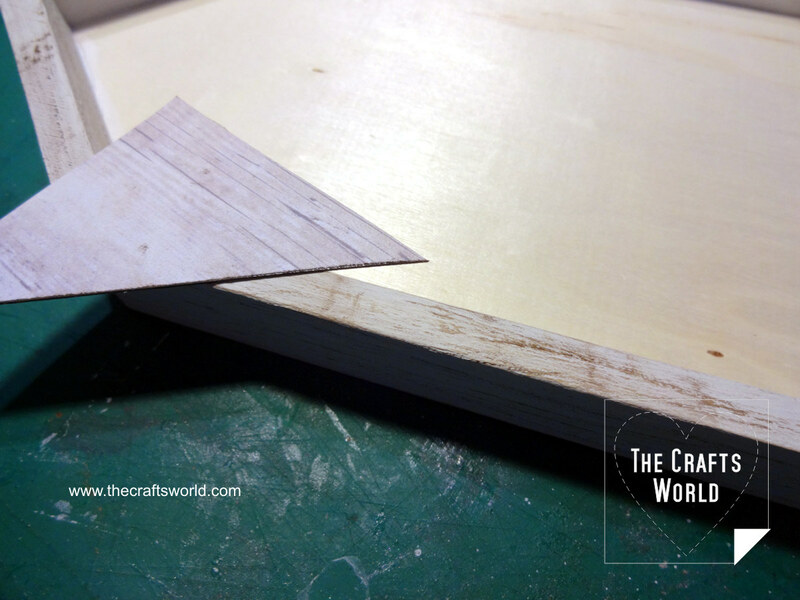 Place the wooden box on the back side of the selected paper of the paper bloc and mark the top edge of it. Mark about 1cm to the inner side of the lines and cut. 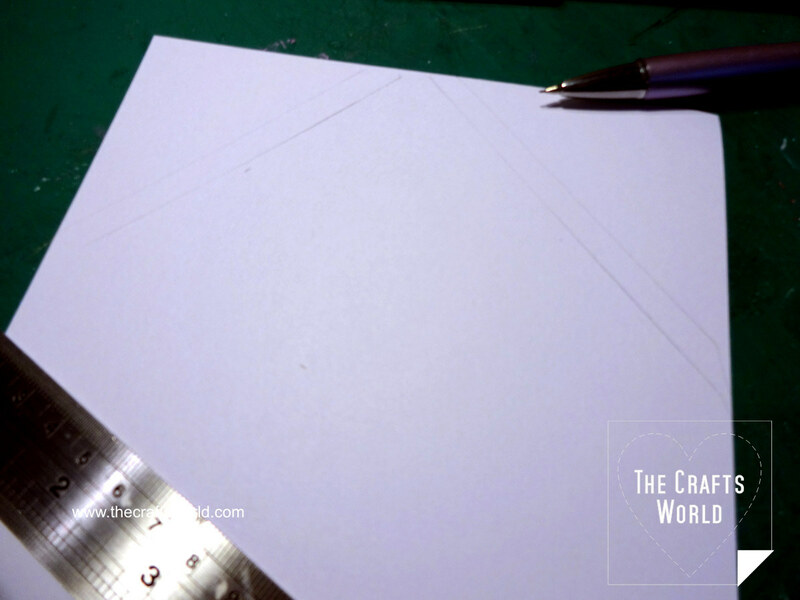 A second paper cut about 3cm x 13,3cm is needed to cover the height of the box inside. Glue the papers in the box. Stamp with the black ink the designs. Cut a 50cm long piece of the cord and lightly colored with the pinecone ink. 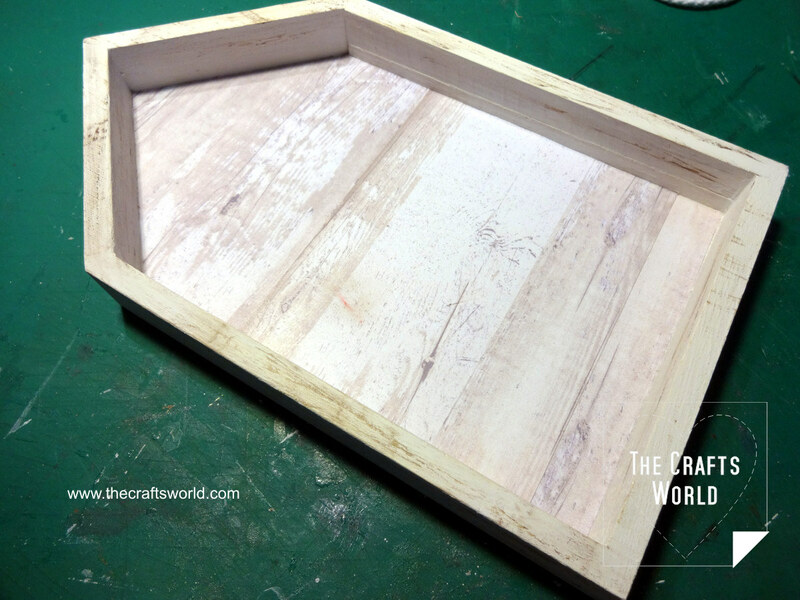 Glue it around the inner side of the box frame. 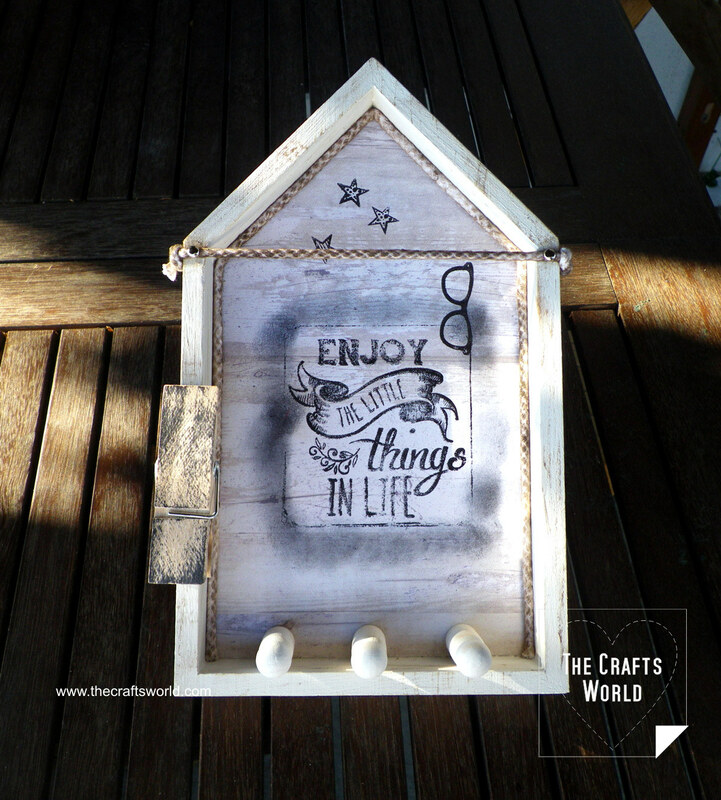 Distress the wooden peg with the black ink and glue it on the left front side of the box’s frame. 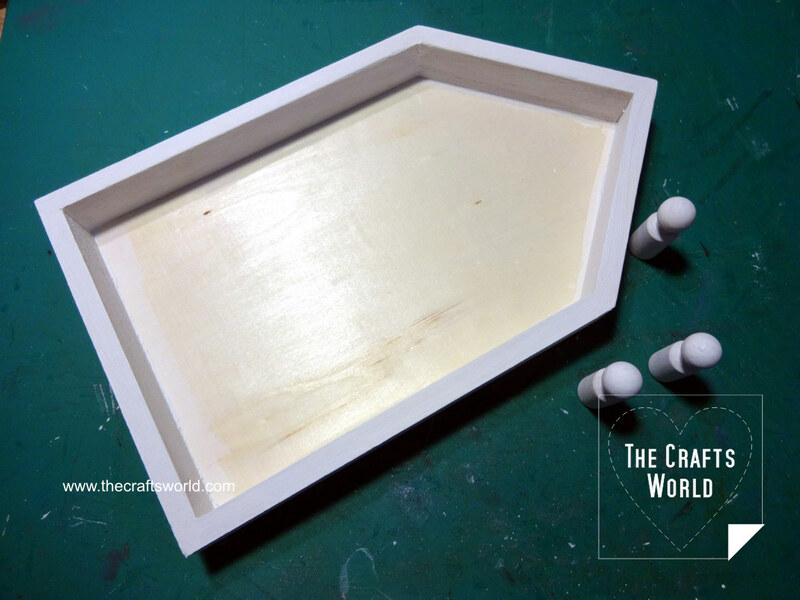 Glue the wooden game pieces on the inner bottom of the box. 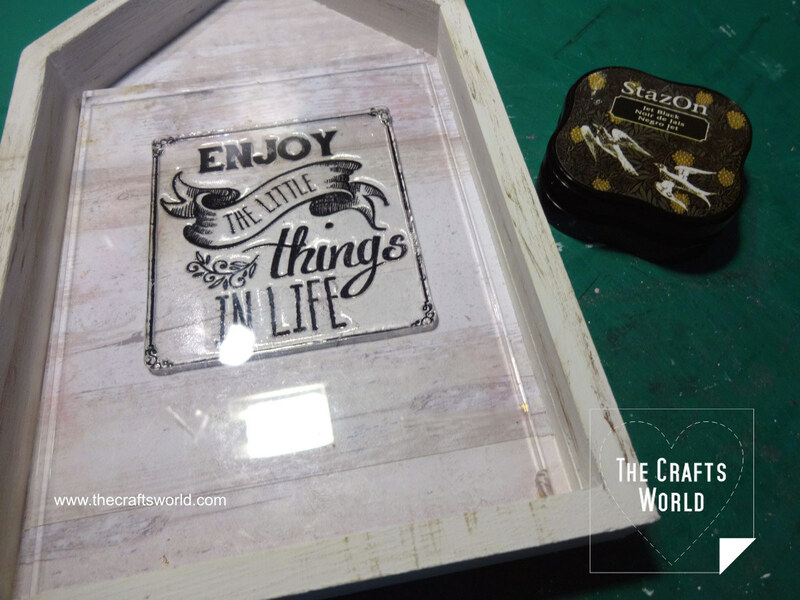 Place glue both on their base and on the side that is attached to the frame. Cut 20cm long piece of cord, lightly paint with the pinecone ink. 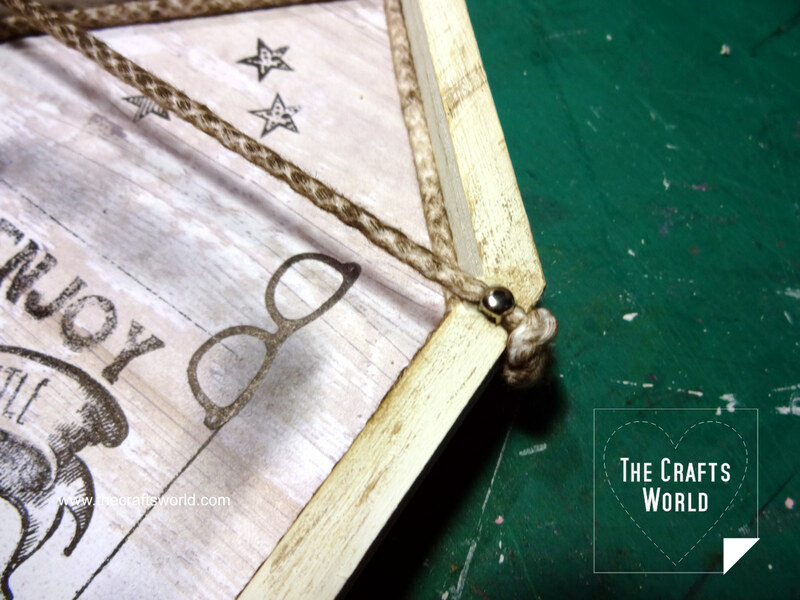 Make a knot on each side, glue the edges by pulling them tight on the top of the frame and secure further with the rivets. 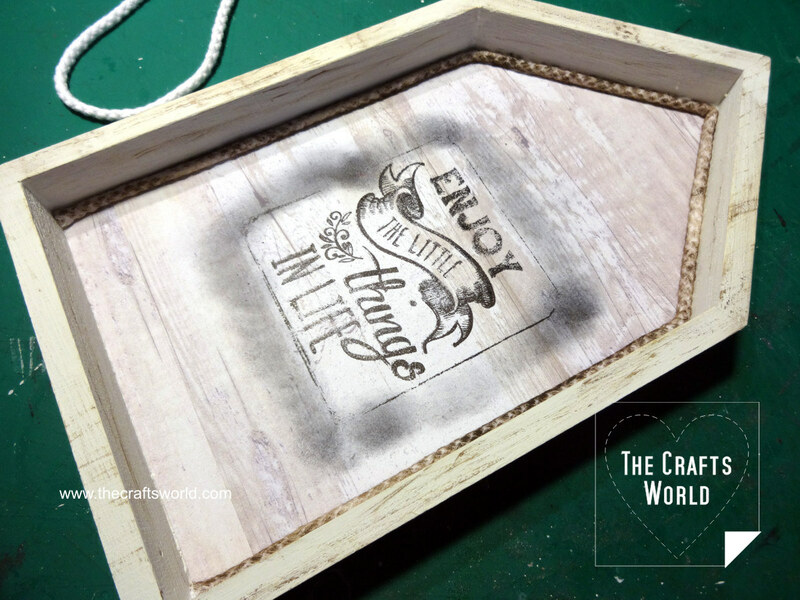 Add a frame hook on the back of the box.